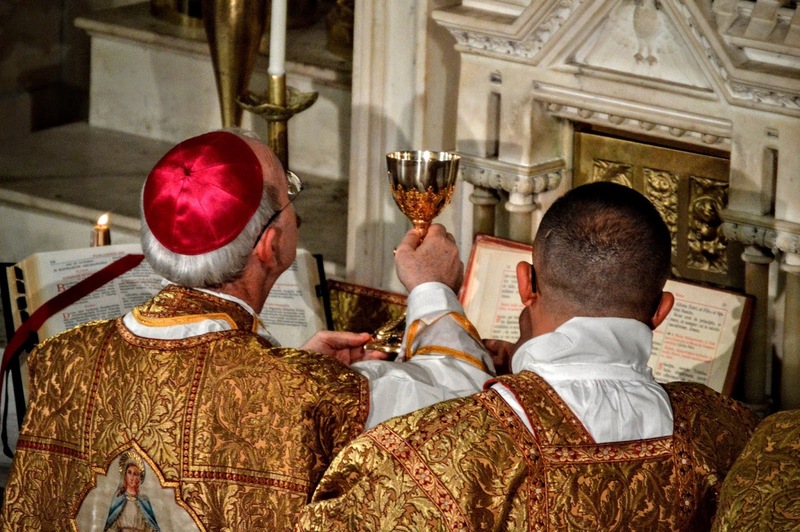 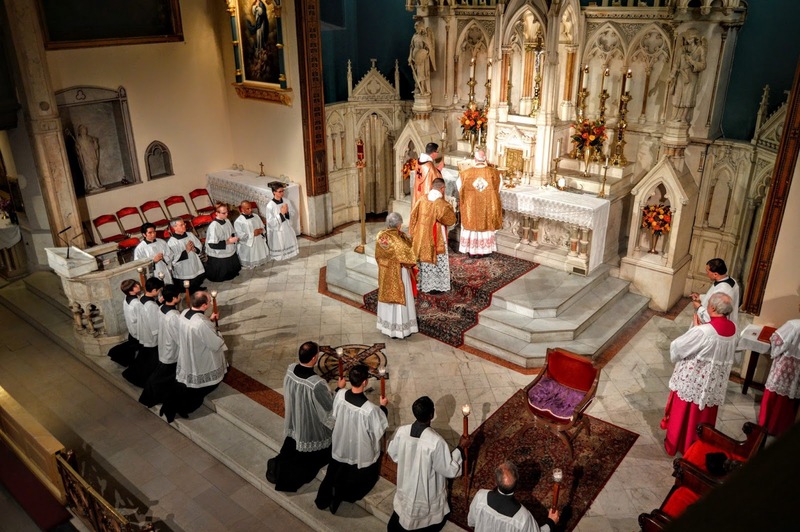 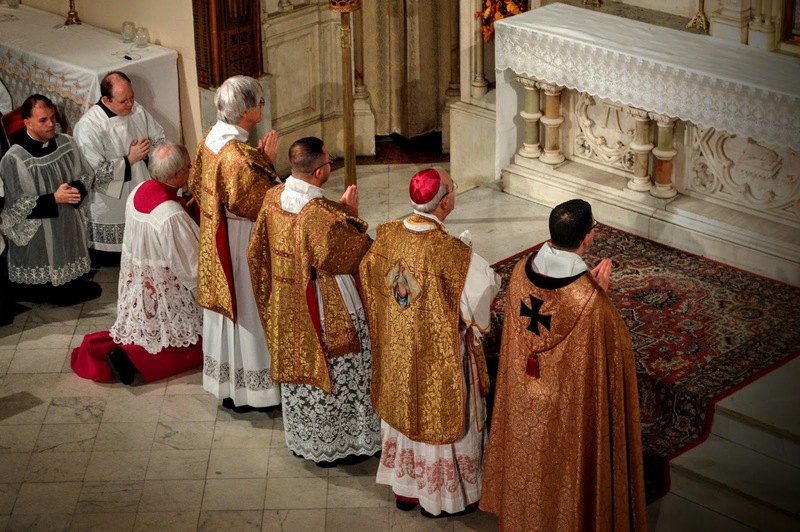 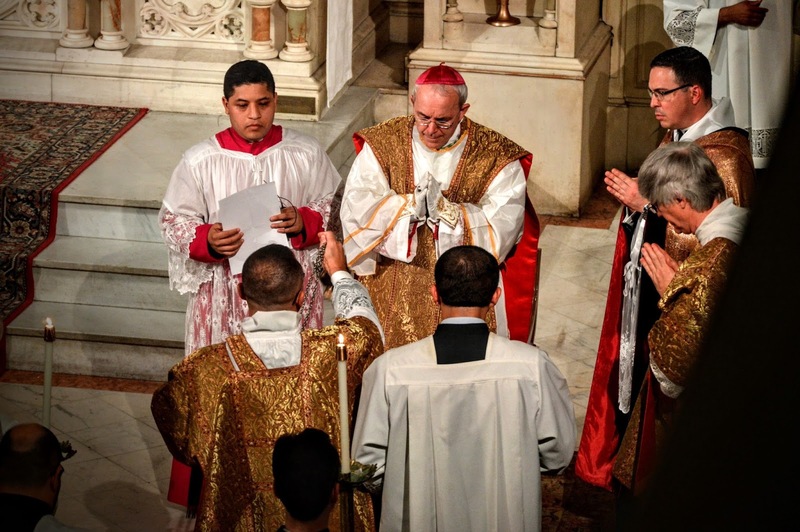 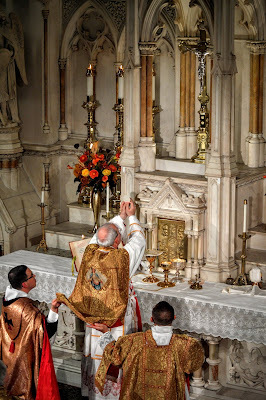 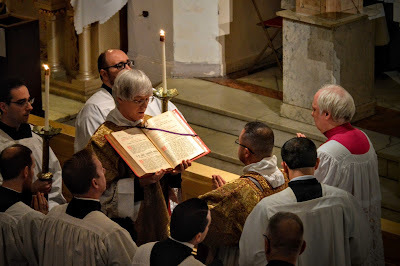 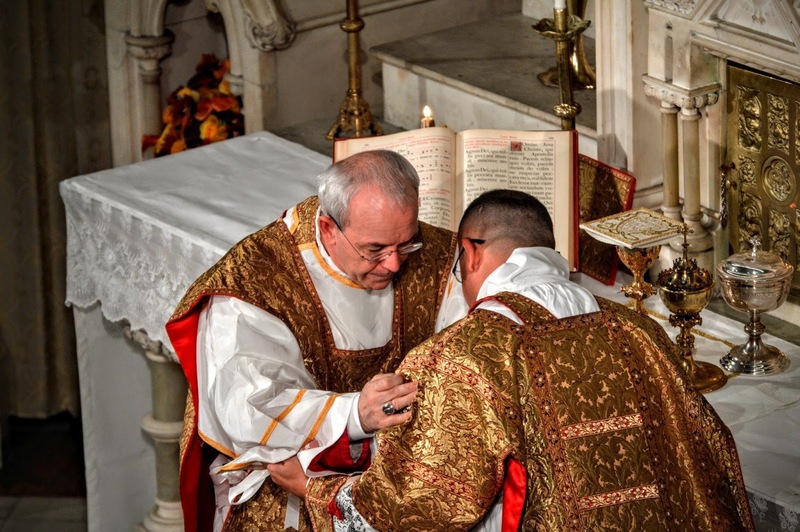 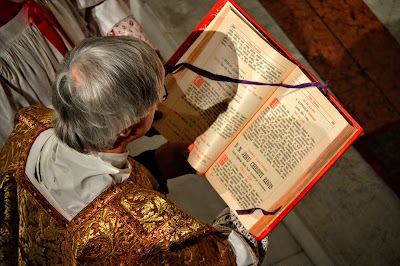 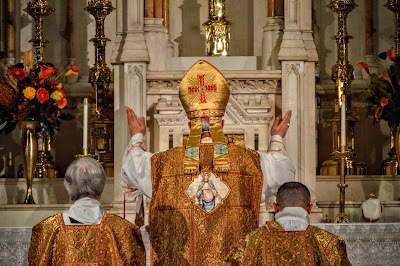 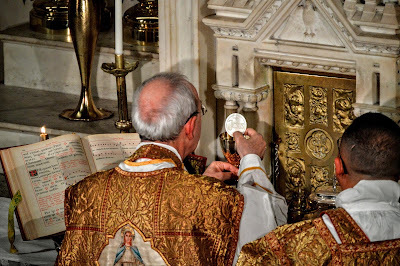 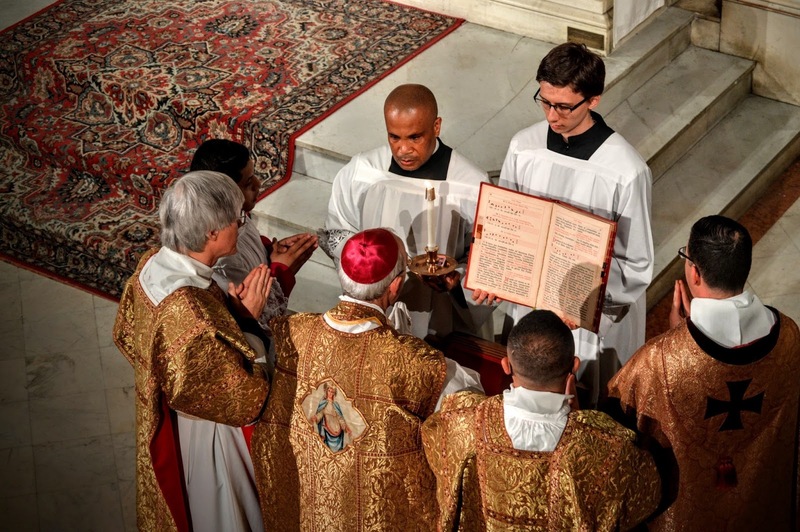 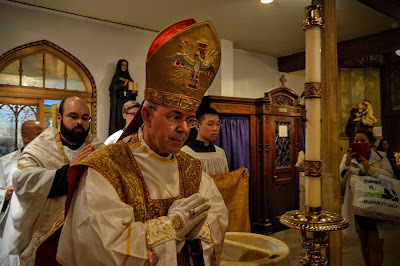 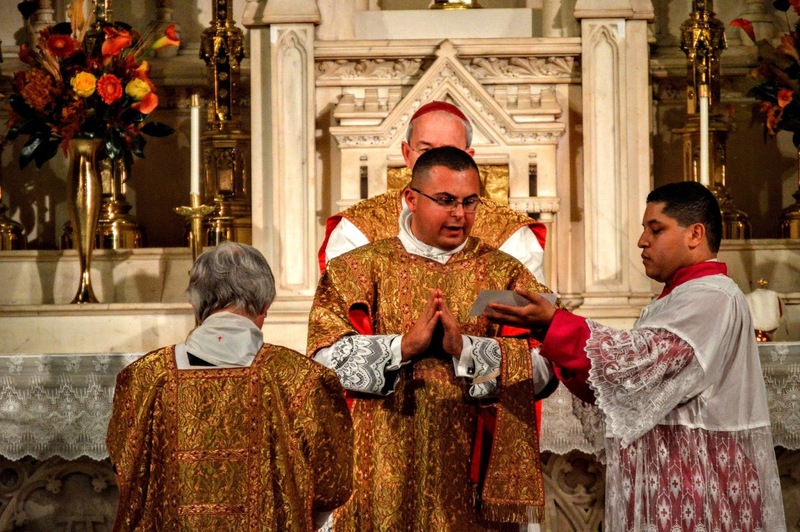 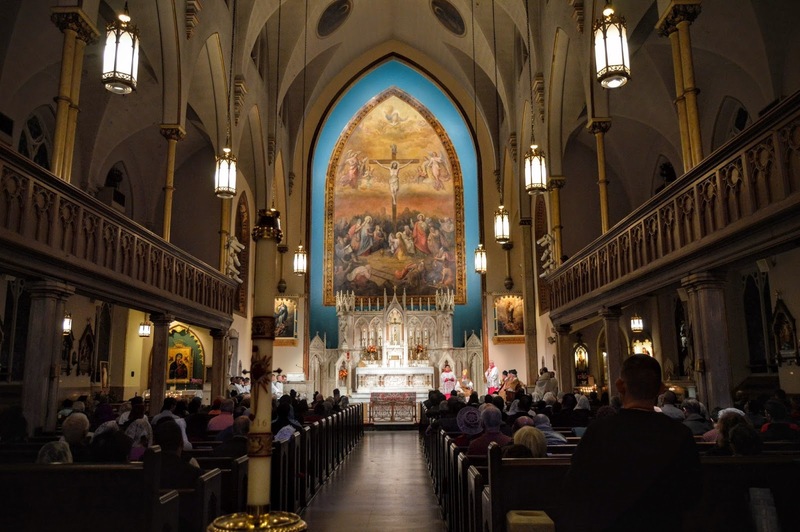 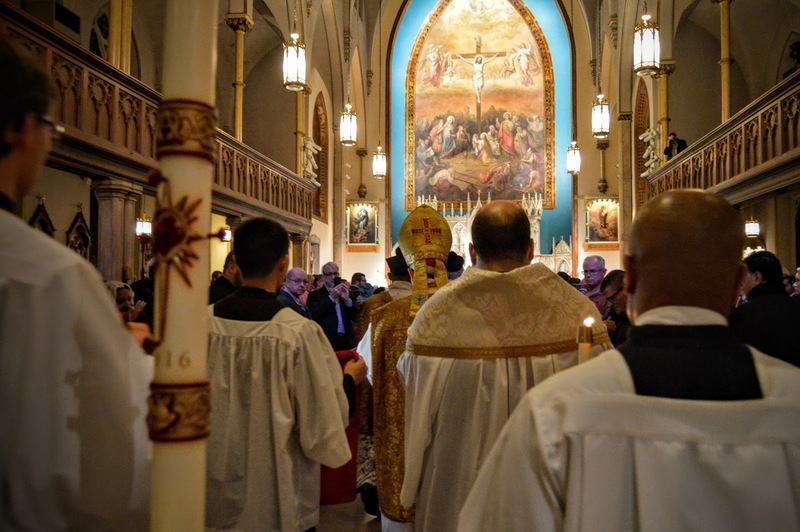 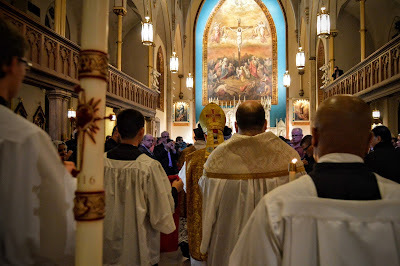 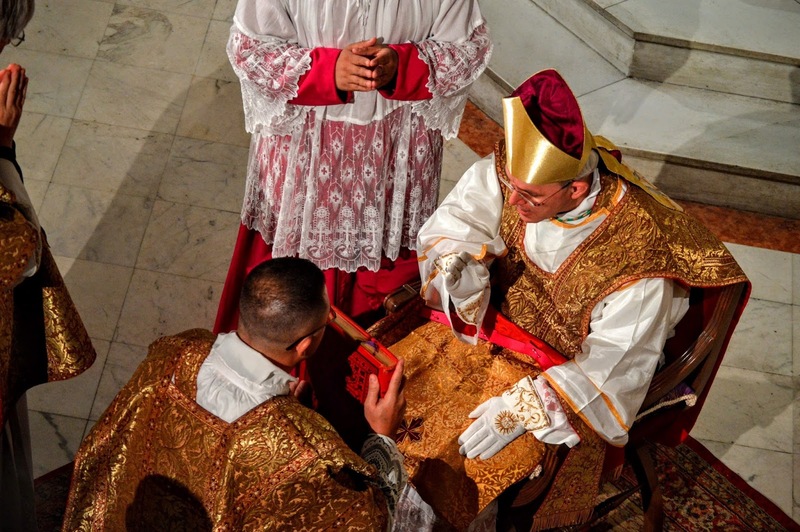 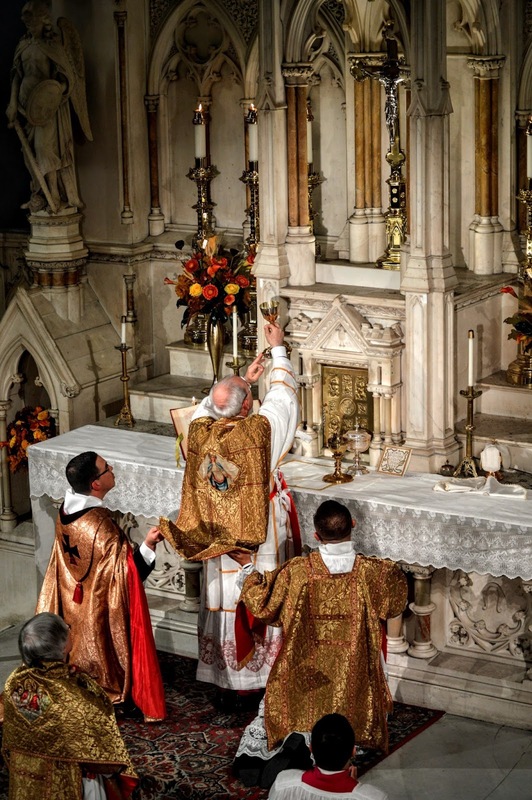 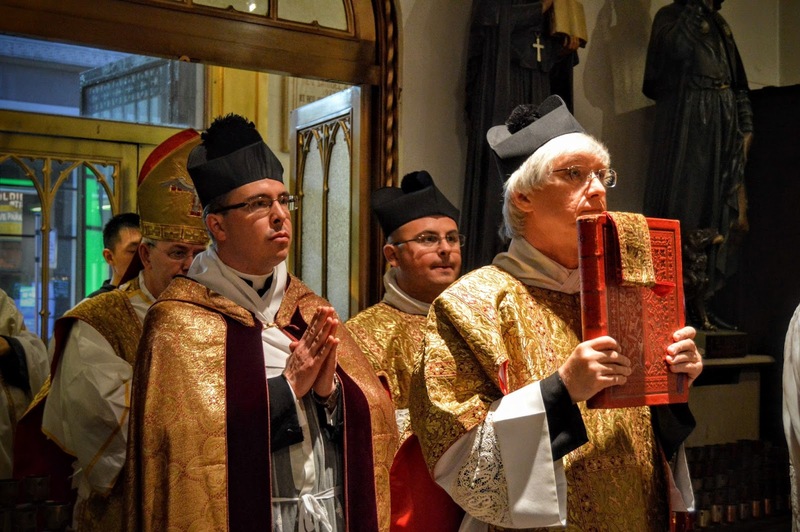 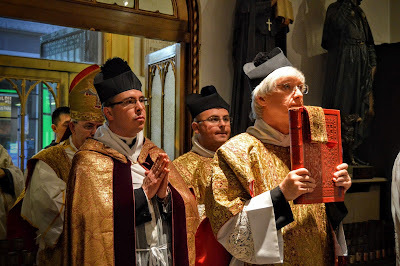 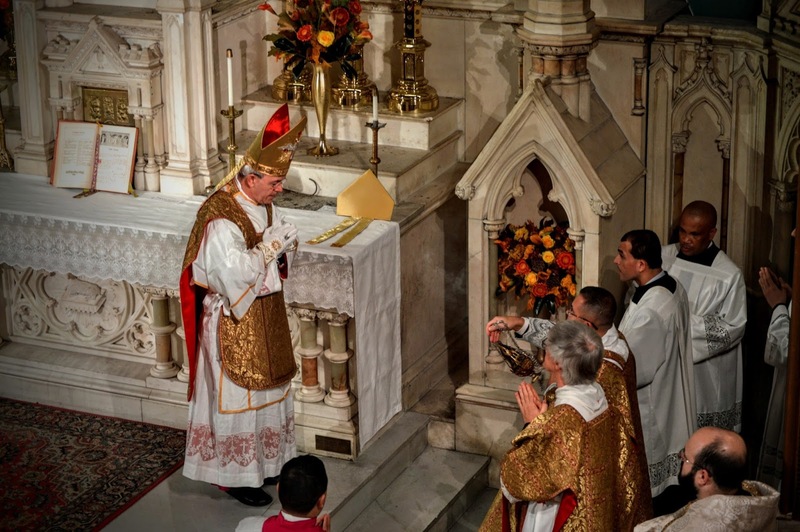 On Monday, October 24th, Bishop Athanasius Schneider visited the Church of the Holy Innocents in New York City, and celebrated Mass for the feast of St. Raphael according to the Missal of 1962, before a congregation of 300 faithful. 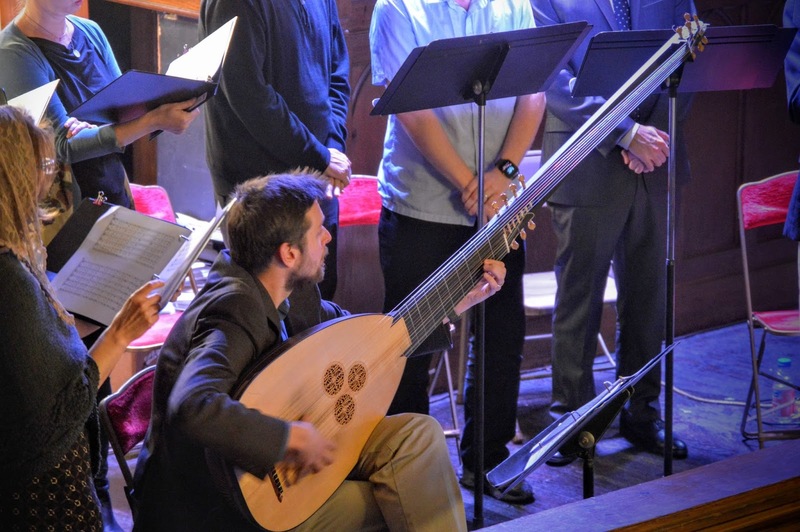 The music for the Mass was the Messa da cappella a quattro voci by Claudio Monteverdi (1650), which used a medieval instrument called from its Greek name “bouzouki”, a precursor to the modern day guitar (picture below). Thanks to Mr Arrys Ortañez for sending us these photographs; several more sets are available on the parish Facebook page.